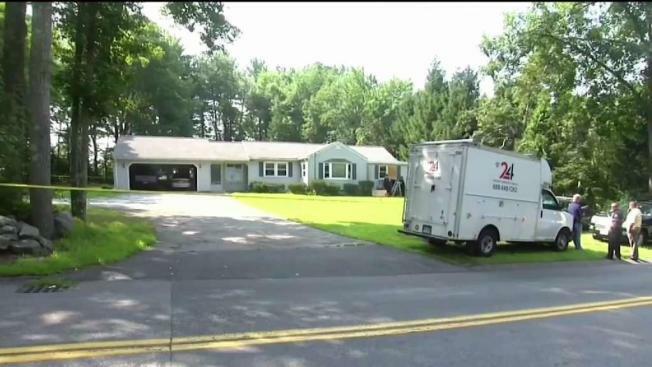 A pizza delivery driver in Salem, New Hampshire, led police to the discovery of a woman's body in the home where here son was living. A pizza delivery driver lea police to a disturbing discovery inside a home in Salem, New Hampshire. It all started Wednesday afternoon when the customer inside the Brookdale Road home made a strange request of that delivery driver. Employees at Romano's Pizzeria had a hunch something was wrong when one of their regular customers called in an irregular order. "The past week and a half or so, the order became more erratic and things he never ordered before," said Romano's employee Jack Johnson. With an unusual lunch in hand, the driver showed up to the home. The customer asked him to pass the food through the window. When he did, the driver noticed hoarding conditions and something else even more alarming. "There was also some blood found on his body when he came to the window to grab the food," Johnson explained. The driver alerted his boss, who called Salem Police. When officers arrived, they found a deceased woman. Police also found the woman's son, the Romano's customer, in desperate need of medical attention and had to cut through the wall to get him out. "Shocking," said neighbor Phil Consentino. "Yeah, very strange." Romano's employees are equally as surprised. He says he’s glad their driver made the quick decision to deliver help when one of their customers needed it most. "Just like we try to make every order right and keep customers happy, it feels like we did the same thing here, we helped out any way we could," Johnson said. The New Hampshire Attorney General's Office is still investigating and making it very clear this is not considered a homicide and no one has been arrested.